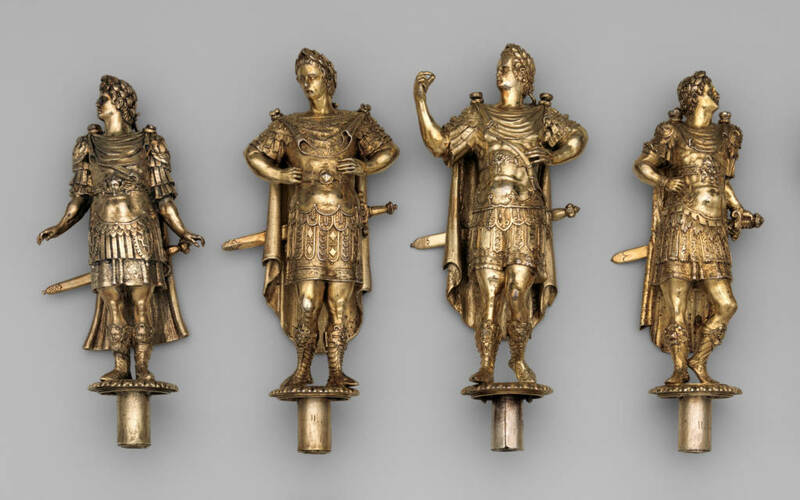 These beautiful table ornaments celebrate the Twelve Caesars, notorious rulers of ancient Rome. Each standing cup (or tazza) includes a portrait of one of the Caesars, as well as four episodes from his life on the supporting dish. The 48 vignettes bring to life the book, The Lives of the Twelve Caesars, by Roman historian Suetonius (written in the early second century AD). One of the great mysteries surrounding the Silver Caesars is that no record exists detailing their origin. We do not know when the set was made, by whom, for whom, or for what purpose. However, new research revealed in the exhibition now goes some way to answering those questions. 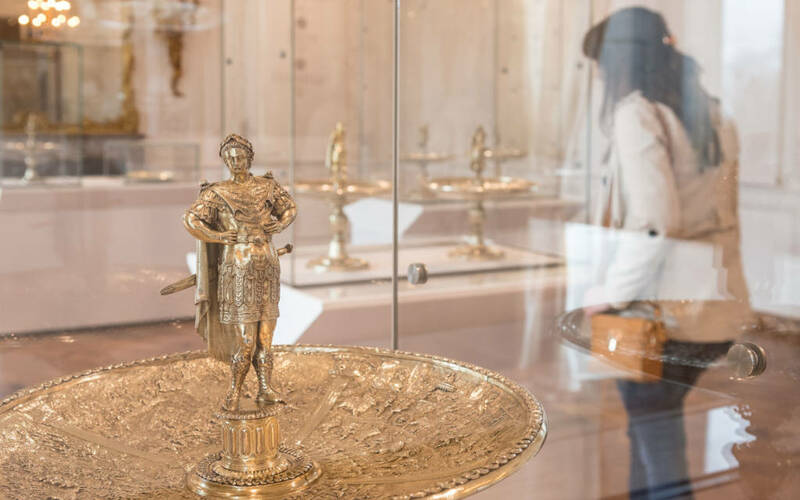 It is particularly relevant that the Silver Caesars: A Renaissance Mystery is being exhibited at Waddesdon as over the past two centuries nearly half of these tazze have at one time formed part of Rothschild family collections. 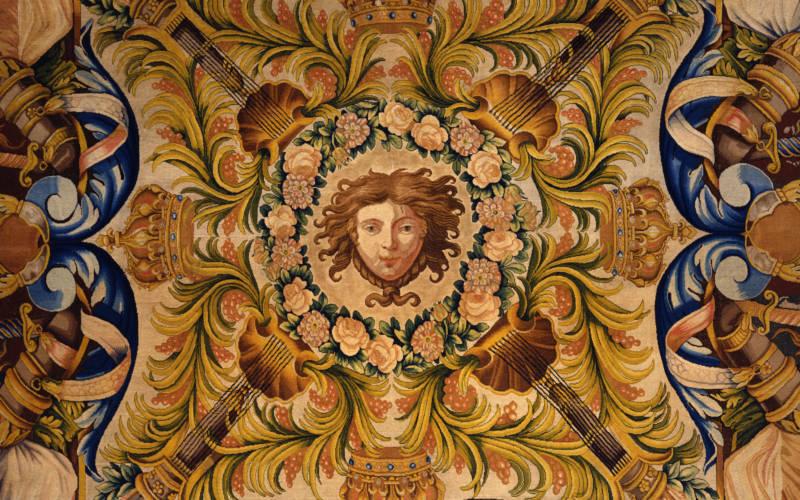 By 1872, Anselm – father of Baron Ferdinand de Rothschild, who built Waddesdon Manor – had one in his Viennese collection. 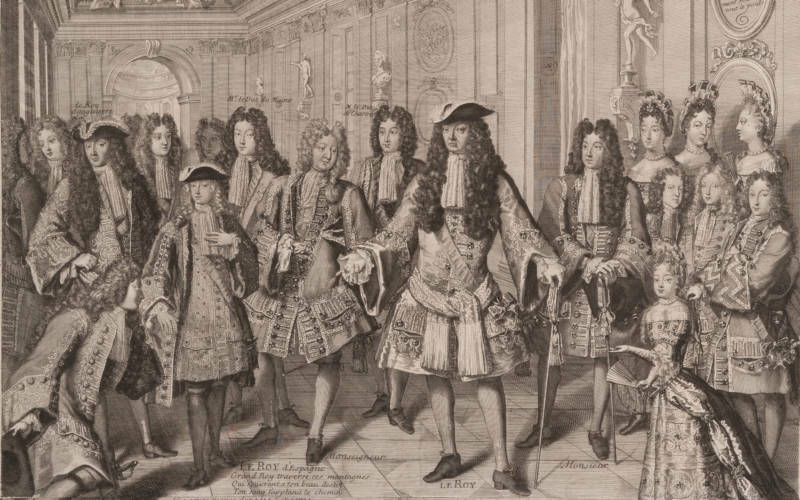 In the centuries following their creation, the 12 tazze were taken apart, incorrectly re-assembled, misidentified, and then widely dispersed across Europe and the Americas. 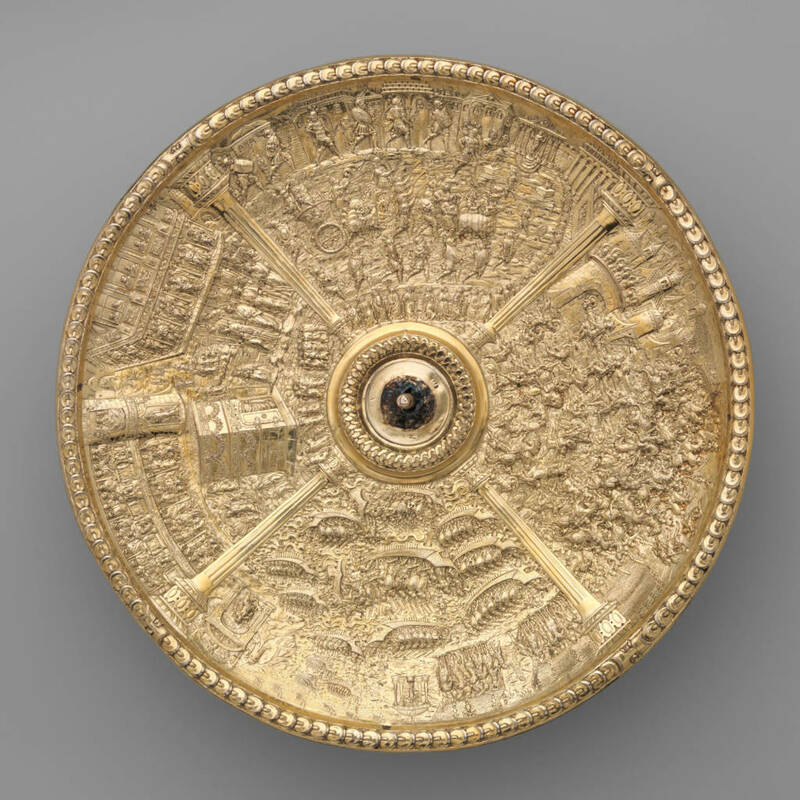 Properly reassembled, the tazze evoke the history of the first 12 Caesars – from Julius Caesar to Domitian. 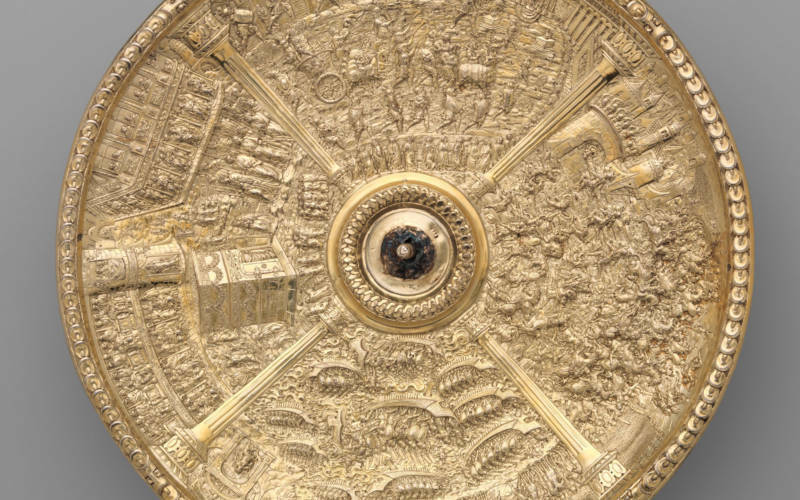 The 48 scenes span nearly 150 years of Roman history, from sweeping views of ancient monuments, raging battles and glorious triumphs to intimate glimpses of imperial life. However, whilst Suetonius’ original biographies were filled with tales of the notoriously bad behaviour of the likes of Caligula and Nero, the tazze show their subjects in the best possible light, deliberately ignoring their many misdeeds to create a flattering image of imperial power. 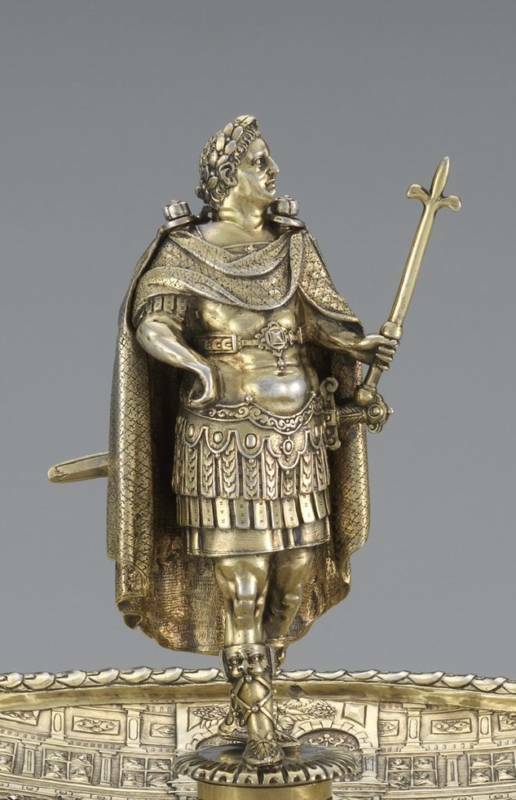 New research now suggests that the Silver Caesars were made at the end of the 16th century, probably in the Netherlands, and most likely for a member of the Habsburg dynasty – the ruling family of the Holy Roman Empire. We owe it to the designers and craftsmen behind these marvellous objects, to those who commissioned them, to Suetonius himself, and even to the emperors — brutal rulers though they might have been in real life — to get these scenes sorted out, connect the right man with the right deeds, and see them all together as originally intended. And I think at last we have done just that. 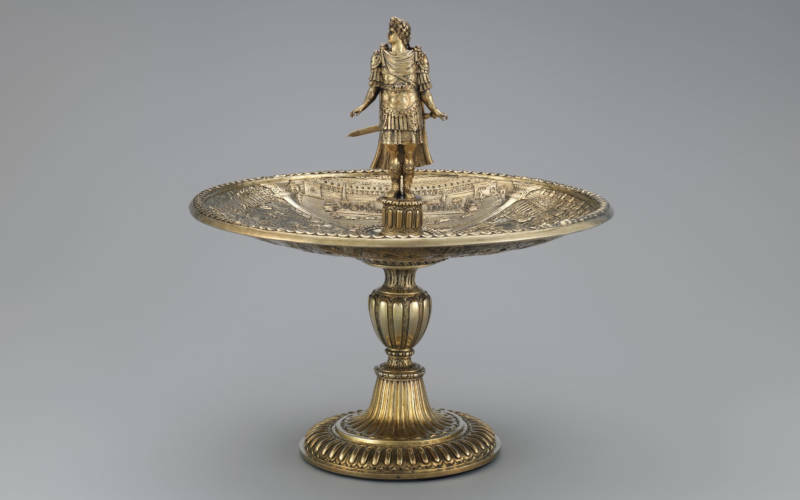 The modern history of the Silver Caesars begins in 1826, when the set appeared – seemingly out of thin air – in the shop of a London dealer. The tazze caused a great stir, and were at first celebrated as the work of Benvenuto Cellini, the most famous goldsmith of the Italian Renaissance. 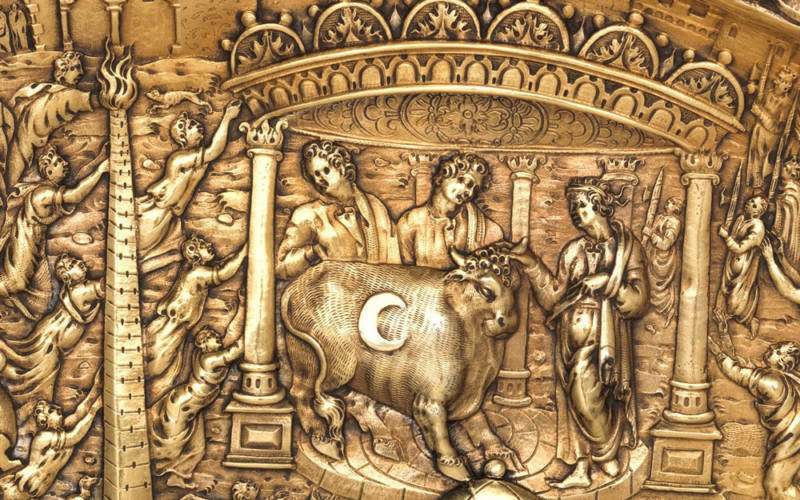 It was during this period, in keeping with 19th century tastes, that all twelve tazze were gilded – meaning today the objects we see appear gold, rather than the silver their name suggests. 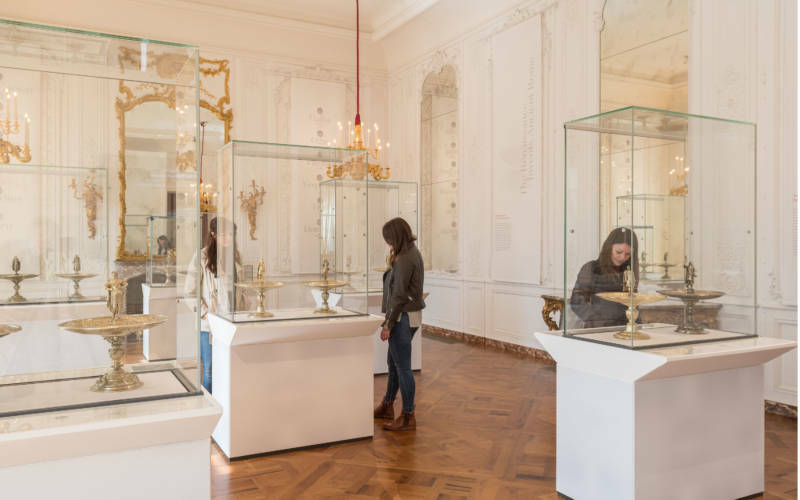 This was the last time they were together as a group – thereafter they were sold to different owners and are now dispersed around the world in public and private collections. 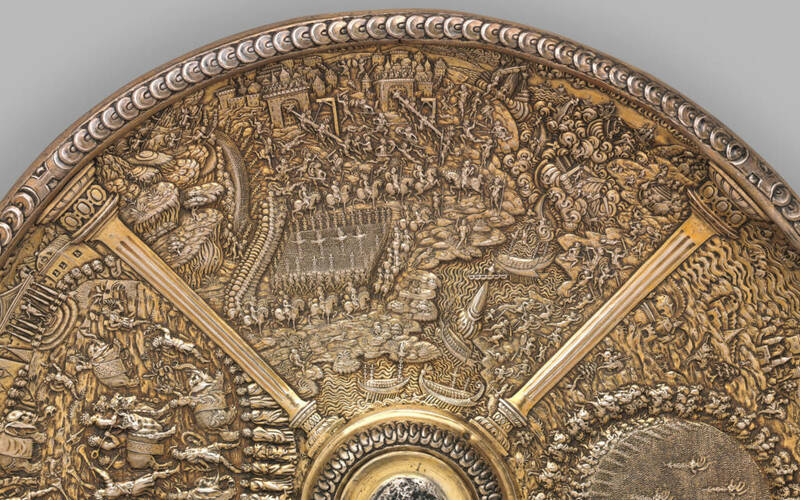 The Silver Caesars: A Renaissance Mystery was organised by The Metropolitan Museum of Art, New York (on view 12 December 2017 – 11 March 2018).